The whole day, your clients are influenced by millions of triggers. So, how do you get into the mind & heart of your clients, if you are one out of millions? How can you make clients love your brand? Brain Rule 3 plays an important role! The good news is that our reaction to triggers is programmed in our brain. Scientists do not know yet how it all works, but what they know is that it started long ago. Do you want a salary increase of 100%, 20 extra free days, a pension and a bonus of 100.000 Euro? Or do you want this banana? 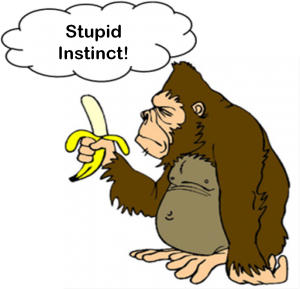 Oh dear, the monkey chooses subconsciously for the banana! 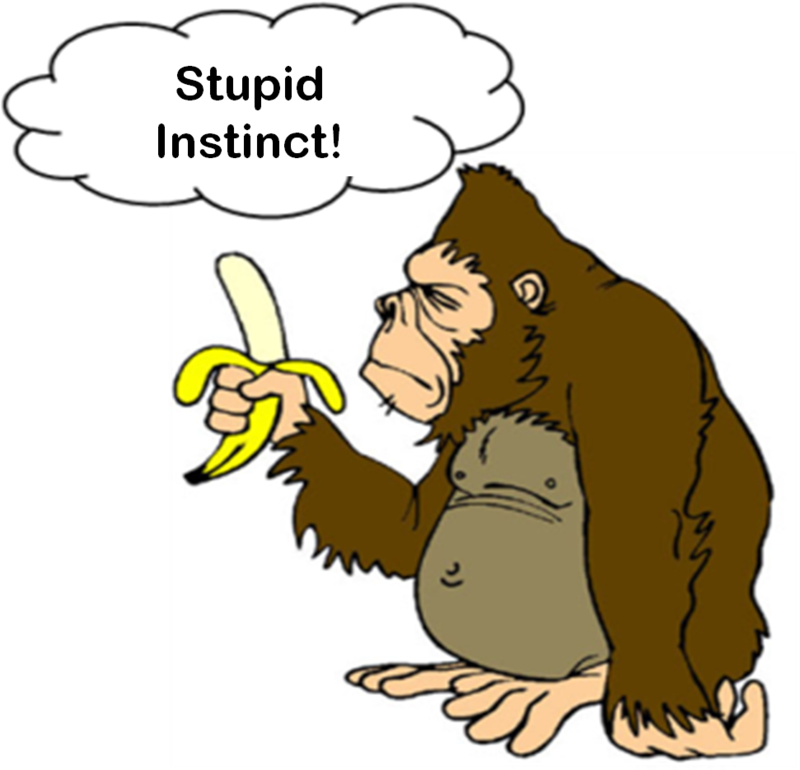 We are 100% similar to this monkey. Also we, and our clients, follow our primitive urges. 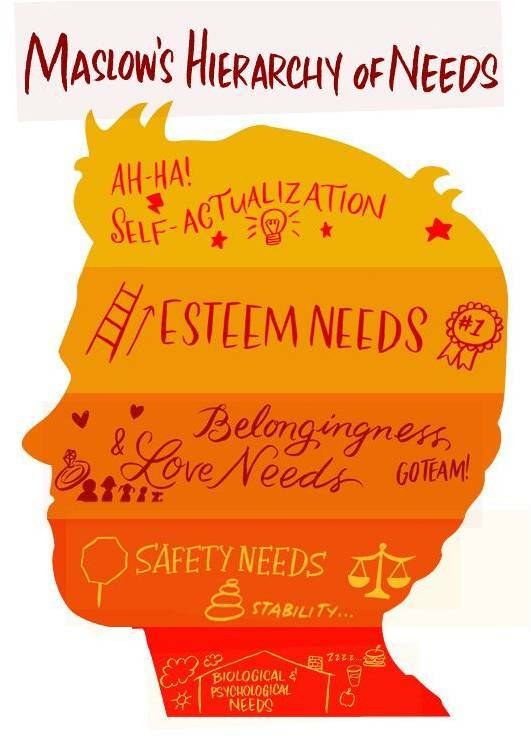 Successful marketers and leaders acknowledge these primitive urges and deeper needs of people. This time, we take a look at one of the most important needs of people, one of the strongest powers in the universe. Why do you hear laughing during comics? Why do you follow the latest fashion trends? Why do you take a look at your neighbor if you don’t know how to use your cutlery? We are programmed to stick together. Every person subconsciously wants to be part of a group, which has something in common; really, also you. ‘Belonging to a group’ and being a valuable group member, is a matter of live or die. If you deviate from the majority, your brain will release a signal, which feels like a punishment. This is a very important brain-principle, which drives our behavior; and a very strong element to attract clients. Our need to belong to a group is so big that people even decide to connect to sects, radical groups and terroristic gangs. This brings us to Brain Rule 3. This rule is closely related to Mazlow’s need to belong. Having solid social connections can be as important to human health and happiness as having food, water, and shelter. Research shows that your odds of survival increase by 50% by having social relationships. This effect is comparable to the effects of smoking and excessive drinking on mortality, suggesting that having quality social ties is vital to our lives. 1. Focus on a specific group of people and share who they are. Most likely to buy your products are people who share the same personality, beliefs and the same WHY with you. 2. Make clear what makes you different than others. People love their own group more than others. 3. Share who is already buying/liking you. People with the same profile are likely to follow. This is a great example how Brain Rule 3 works. Want to try? A hotel tested several messages to make guests use their towel more than once. Which one had most effect? This is how people will start loving your brand. They will feel it’s their brand, since it says so much about them. Ogilvy calls them Lovemarks; and Lovemarks transcend brands. They reach your heart as well as your mind, creating an emotional connection that you just can’t live without. Take a brand away and people will find a replacement. Take a Lovemark away and people will protest its absence. Lovemarks are a relationship, not just a transaction. You do not just buy them, you embrace them passionately. That’s why you never want to let go. 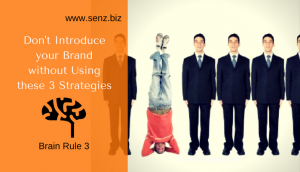 It is clear that using brain rule 3 creates Brand Love and Brand loyalty, which can be very profitable. 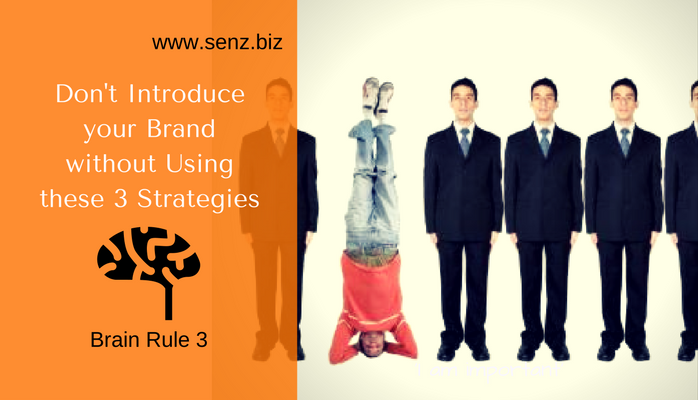 Do you know more ways to implement Brain Rule 3: Share them in the comments.